Paavo Järvi opened his third season as Chief Conductor of the NHK Symphony Orchestra, presenting repertoire ranging from Mozart to Bernstein. Their highly acclaimed Strauss recording project continues with the release of the second album featuring Don Quixote, Till Eulenspiegels lustige Streiche and Der Rosenkavalier Suite. As Artistic Director of The Deutsche Kammerphilharmonie Bremen, he continues the critically acclaimed Brahms Symphonies cycle and launches their Schubert project touring in Europe. 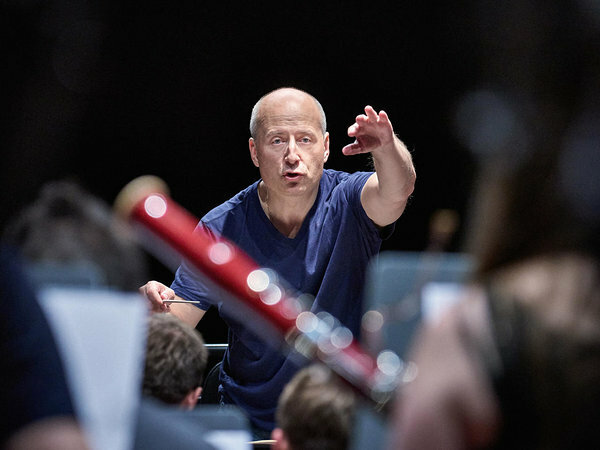 Commencing from the 2019/20 season Paavo Järvi will be Chief Conductor and Music Director of the Tonhalle-Orchester Zürich, while he concluded his highly successful tenure as Music Director of the Orchestre de Paris in summer 2016. He is also Conductor Laureate of Frankfurt Radio Symphony and Music Director Laureate of the Cincinnati Symphony Orchestra. In addition to his permanent positions, Järvi is in much demand as a guest conductor, appearing regularly with the Berliner Philharmoniker, Münchner Philharmoniker, London’s Philharmonia Orchestra, Staatskapelle Berlin and Staatskapelle Dresden. Highlights of his recent and upcoming guest engagements include the Royal Concertgebouw Orchestra, Wiener Philharmoniker, New York Philharmonic, Teatro alla Scala in Milan and NDR Elbphilharmonie Orchester. Paavo Järvi is a dedicated supporter of Estonian composers and Artistic Adviser to the Estonian National Symphony Orchestra. Each season concludes with a week of performances and master-classes at the Pärnu Music Festival in Estonia, which he founded in 2011. 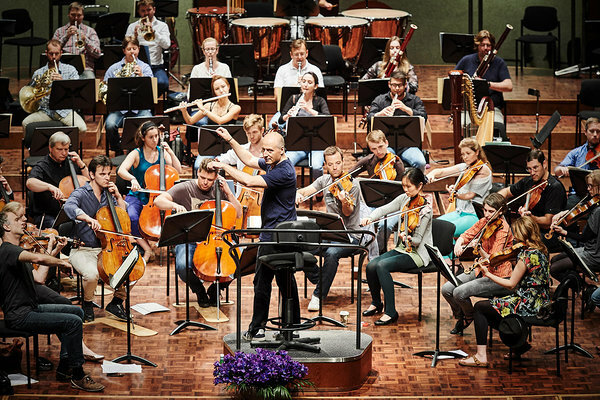 As a festival celebrating the orchestra at its heart, Paavo Järvi created a new ensemble which has become the uncontested highlight of the summer season - the Estonian Festival Orchestra - which also made its debut tour to Europe’s major capital cities in January 2018 coinciding with the 100th Anniversary of Estonian Independence. Paavo Järvi was awarded the Order of the White Star by the President of Estonia in 2013 for his outstanding contribution to Estonian culture. With an extensive discography, Paavo Järvi has won a Grammy Award for his recording of Sibelius’ Cantatas and was named Artist of the Year by both Gramophone and Diapason Magazines. He has also been appointed Commandeur de L’Ordre des Arts et des Lettres by the French Ministry of Culture, for his contribution to music in France. Born in Tallinn, Estonia, Paavo Järvi studied Percussion and Conducting at the Tallinn School of Music. In 1980, he moved to the USA where he continued his studies at the Curtis Institute of Music and at the Los Angeles Philharmonic Institute with Leonard Bernstein.